Adrian's Garage is Your Complete Auto Shop! If Man Built it, We Can Fix It! Adrian's Garage Has Over 50 Years of Experience! 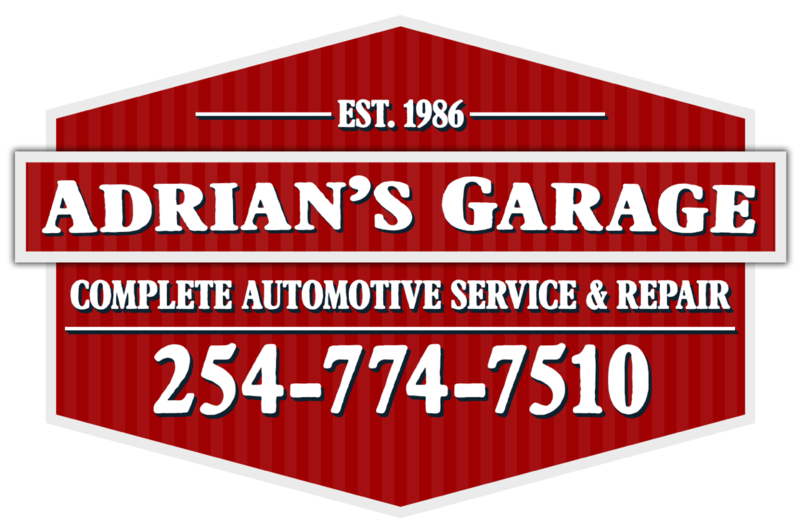 Adrian's Garage in Temple, TX has been family owned and operated for over 30 years. This is experience in repairing foreign and domestic vehicles. We provide quality professional service. Our efficient staff is knowledgeable and ready to assist you with all your automotive repair needs. Allow us to put our experience and expertise to work for you. We set the standards of excellence and strive to be the best auto repair and maintenance shop by offering competitive rates and maintaining customer satisfaction. We like to say that if man built it, we can fix it! Our shop can handle all of your vehicle maintenance and repair needs. Our technicians are capable of handling any vehicle needs from bumper to bumper - Preventative maintenance, Electrical, Steering and Suspension, Drivability and Engine performance, Wheel/Tire and Brakes, State inspections, Pre-trip/Pre-purchase inspections. Click here to learn more about our complete automotive service and repair shop serving Temple, TX and the surrounding areas! We offer a variety of automotive diagnosis and repair in order to help you properly maintain your second largest investment, your vehicle! Contact us for an estimate on the work your vehicle needs, or stop by today to let one of our technicians help you with preventative maintenance! Adrian's garage is also the only service center for Intoxalock's vehicle interlock device in Temple, TX. Contact us today to find out how we can help with your particular automotive needs! Have you recently had an experience with our shop? Let us know how we did. We appreciate your feedback! Need brake repair or transmission repair? Contact Adrian's Garage in Temple, TX, or stop by our auto shop to discuss your particular automotive maintenance needs!